With our streamlined secure network design, Metro FastNet can offer maximum speeds with no obligations to phone or cable companies. 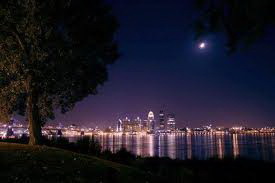 We have built, own and operate a Microwave Fixed Based Wireless Network, above the Louisville area. With our shorter direct routes, we decrease our network hops and latency. Our circuits are dedicated enterprise class microwave connections with quick installs and maintain a 99.999% uptime. Our service area keeps growing! Metro FastNet will work with you to select from the variety of options to meet your internet data needs.